Meadow Vista Honey Wines is located in Kelowna, BC on a five and a half acre farm, nestled amongst the orchards of East Kelowna. In partnership with our beekeeper, the farm is home to 110 hives of hardworking honeybees. The hives spend time on our Farm as well as other local farms, providing important local pollination while gathering sweet nectar to make honey. We’ve been told that Meadow Vista Honey Wines taste “like nature in a glass”, and we couldn’t agree more. We are proud to offer a fresh spin on food & wine pairings for Master Chefs, Sommeliers, Foodies and Home Cooks with our award-winning honey wines. 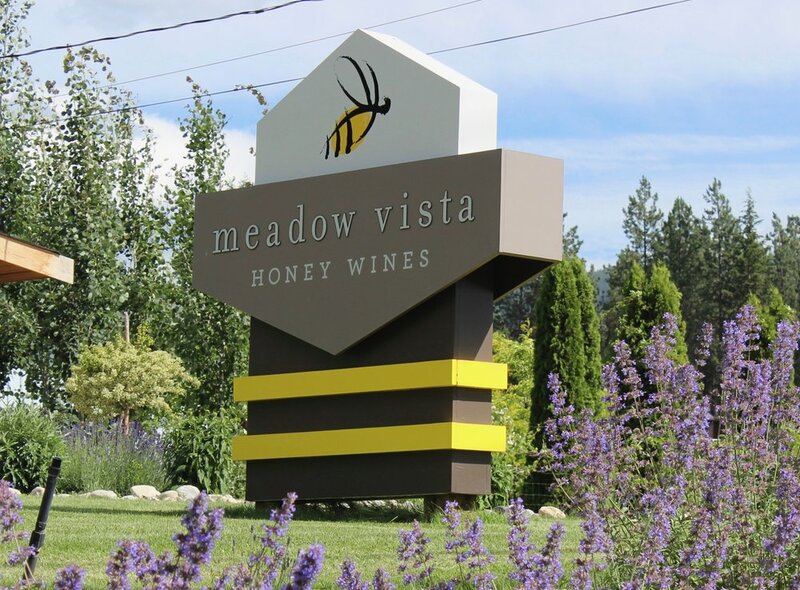 "Meadow Vista Honey Wines has already grabbed the attention of wine and mead judges in Canada and the US." At Meadow Vista Honey Wines, we are a small team with a big dream! Led by owners and sisters Emily & Electra, we are making our mark on the Mead Community, one bottle at a time! You've successfully subscribed to our newsletter, thank you!